My sister introduced me to the concept of veganism and I was like "Okay, I'll give it a shot." Little did I know my life was going to be completely flipped around. Veganism saved my life and paved a better future for my two kids. Before I became vegan, I weighed 350 pounds and I didn't really exercise or take my health all that seriously. I played video games and slept a lot. I'm not trying to say that all people who are 350 pounds have my experience or are 'lazy' (especially because of the body positive movement that's happening today), I am only speaking from my own standpoint. I felt like I was being a bad role model to my children because I was teaching them that exercise and eating a nutritious diet weren't important things. My sister introduced me to the concept of veganism and I was like "Okay, I'll give it a shot." Little did I know my life was going to be completely flipped around. So, I decided to study it a little further and I researched things on YouTube and Wiki just so that I could understand the concepts a little better. As time went by, I was changing my eating habits, and before I knew it, in 10 months, I lost 160 pounds. I'm still shocked to this day about the weight loss. Now, my overall body feels amazing. Also, my children are following my footsteps in terms of health. I'm always outside doing something and my mind feels clearer than I was before. Life is great and I feel unstoppable. 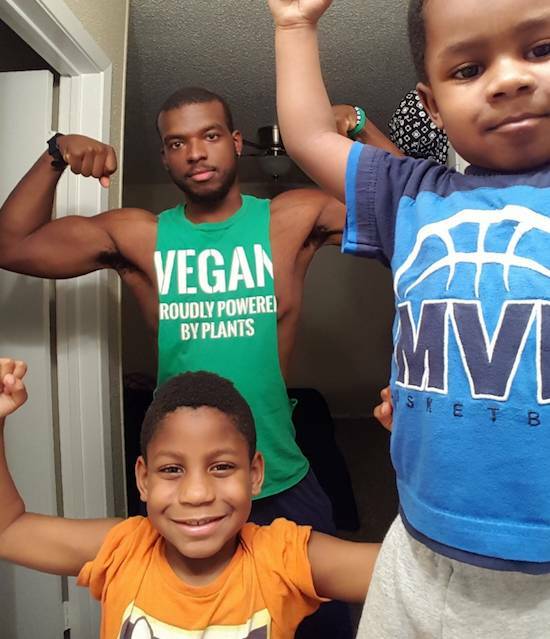 Veganism saved my life and paved a better future for my two kids. I want to add that it's not only saving my life, but countless animals lives because veganism is a more compassionate way of living. My kids now follow this compassionate lifestyle as well, and they show love towards animals like I do.